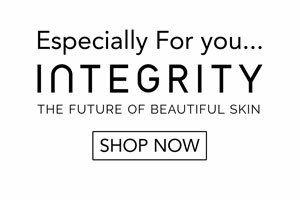 Integrity is a Paramedical Skin Clinic offering you professional skin consultations and services for the treatment of cell health, pre and post surgical care, skin revision and the management of premature ageing. We are current members of professional associations of Australia pertaining to our industry such as the APAA, AILT and APAN. These associations corroborate with us to constantly adhere to strict codes of ethics and meet specific industry requirements. What is a Paramedical Skin Clinic? A paramedical skin clinic is dedicated to advanced therapy, maintenance, pampering and anti-ageing beauty treatments, bridging into a new realm of highly effective therapy and service. Paramedical practitioners are able to work with sophisticated prescription-only retail and professional skin treatment products. These include the likes of practitioner-only vitamin and mineral support formulations for the treatment of skin and general health, offering you a holistic service for faster recovery and better results. We also use disposable consumables to ensure impeccable hygiene standards and no cross infections. Whether your skin has been affected by trauma, medical procedure such as surgery, skin conditions or you just want to achieve optimum skin health – Give us a call today!